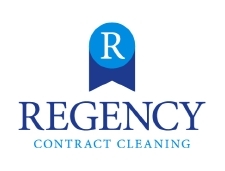 At Regency Contract Cleaning, our professional cleaning teams only use our own quality trusted products, so you can be assured that every item we sell is the best value consumable available. All of our products are tried, tested and used by Regency Contract Cleaning teams. No minimum order, so there's no need to purchase or store large quantities of supplies. Easy and convenient 24 hour on-line ordering process, or call us free on (0800 634 9756) 8am-8pm seven days a week. Quality products at great value prices. COSHH information available for all of our products. Free local delivery within Ayrshire. UK mainland delivery charge (up to 20KG) only £5:00 per order. *Order before 12 noon Monday-Friday for next day delivery. *SPEND £40:00 OR MORE (INCLUDING VAT) ON ANY OF OUR PRODUCTS AND WE WILL DELIVER YOUR ORDER..
*Next day delivery cannot be guaranteed with this offer. Call us on: 0800 634 9756 for further details. Here at Regency Janitorial Supplies we can supply you with any genuine Hoover bags or replacement parts. Just contact us with the specific part number.